We’ve just completed an exciting shoot at Germany’s famous Hockenheim race track near Frankfurt. 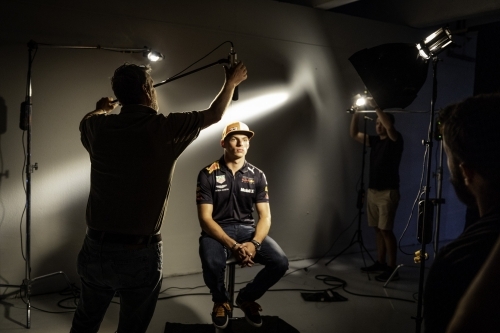 Our UK clients came at short notice requesting crew and kit for this unusual car racing shoot. Being as we only had a couple of days prep we were scrambling to get exactly the right crew members with the appropriate skills. We ended up providing a top crew all ex Frankfurt with the necessary experience and knowledge for specialised car shoots. Our production manager, with over 30 years of feature film and commercial experience, was instrumental in getting this show on the road. With a minimum of prep time he managed to organise and solve a wealth of difficulties to make the shoot run smoothly and also to make everything transparent for the client. He even ended up driving the tracking van on the race track himself as the camera crews shot the hero car in action. 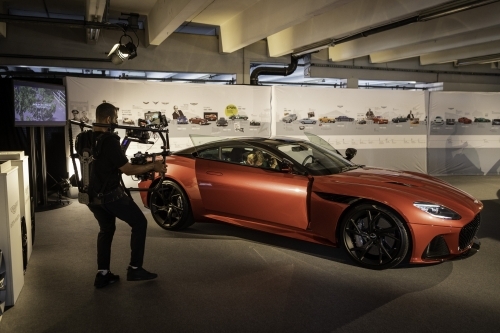 Our GoPro specialist and experienced grip for all things automobile shoots made sure the cameras were rigged securely both outside and inside the car. Our experienced focus puller assisted the UK DOPs and our stills photographer got some stunning images. At the end of the day we had a very satisfied client and we hope he will spread the word that Camera Crew Germany is THE address for anyone looking for crew when in Europe.